Washington County is in for "A Grand Night for Singing." 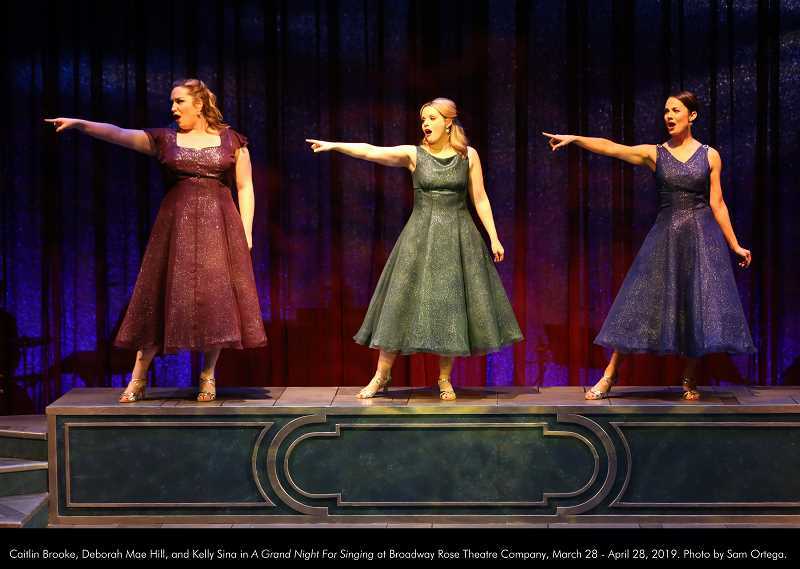 Broadway Rose Theatre Co., the musical theater connection to Tualatin Valley, opened its ode to classical show tunes from writer team Richard Rodgers and Oscar Hammerstein II. Together, the duo wrote iconic songs for productions like "Oklahoma!," "The King and I," and "The Sound of Music," kicking off what became to be known as the "golden age" of the American musical theater scene in the 1940s and 1950s. 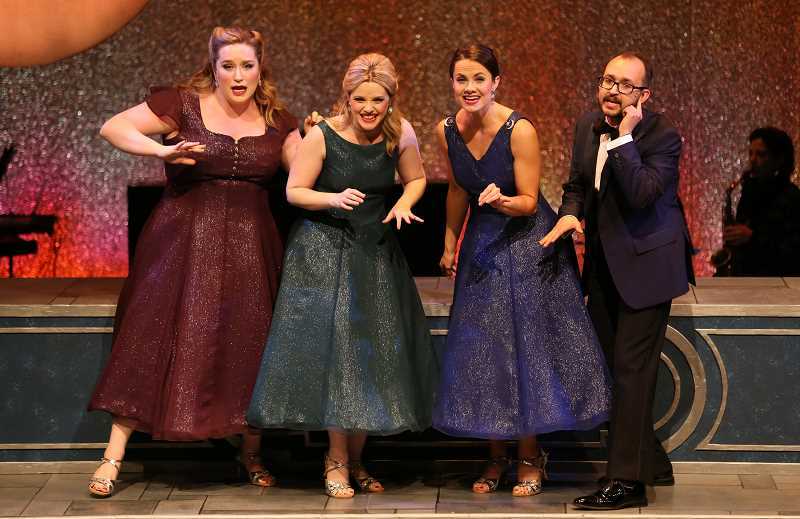 "A Grand Night for Singing" runs through Sunday, April 28, in Tigard. The showcase features more than 30 hits by Rodgers and Hammerstein, including some lesser-known showtunes from "Allegro" and "Pipe Dream." Originally produced by Roundabout Theatre Co. in New York City in 1993, the compilation of songs features five performers, all glitzed out for the evening. Many nights have already sold out, but there are still dates to grab last-minute tickets. "The music in this review is so beautiful and resonates so strongly with people who hear it," director Sharon Maroney said. "My thought when putting this together was like a jewel box in that the performers are like gemstones singing. We have outstanding singers, but they are also wonderful storytellers. That is what makes the show sparkle. It triggers so many memories from our lives. I love it, and I think it turned out great." 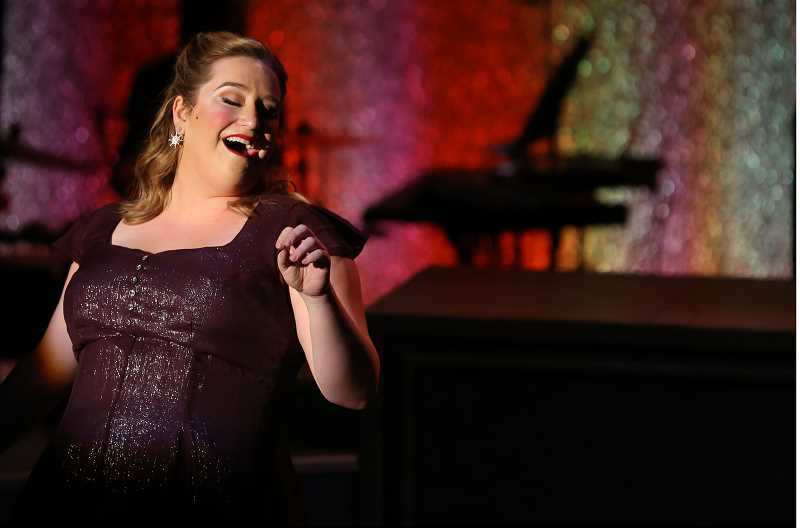 The audience will not see songs re-enacted like in the original shows, but singers perform song-by-song with humorous transitions between each piece, Maroney said. "When they sing 'Oh, What a Beautiful Morning,' it isn't in a cowboy hat and jeans," said Dan Murphy, Broadway Rose's founder, general manager and choreographer for the show. "They are all in tuxedos and dresses. It is a sophisticated look to the show. Some songs are also sung by different genders. For example, a man sings 'How Do You Solve a Problem Like Maria?' They took liberties with the show to shake it up a bit." Some of the songs are sure to spark memories, while others may seem unfamiliar, just like Maroney's experience, where she discovered new pieces she didn't know existed. "I knew about 80 percent of the music, but there was another 20 percent that was a pleasure to discover," she said. Joe Theissen is one of the five performers. This show taps into memories of the beginning of his musical career, he said. Growing up in Southwest Portland and attending Wilson High School, Theissen performed in the ensemble cast for "South Pacific," and he also worked on the Broadway Rose production of "The King and I." All the performers have solo parts, as well as combinations of the five. Theissen sings a solo performance of "This Nearly Was Mine," from "South Pacific," circling back to his high school years. "I listened to the upperclassman playing that role and singing (the) song, wondering if I would be able to play that role someday," Theissen confessed. "So to be able to sing it is really special." The group of performers is tight-knit, and they all have things in common that other casts don't, he said. "The process was very smooth. We all speak the same language, we are all perfectionists about how we handle music phrases, and sometimes with a cast, you have people who are many dancers or comedic actors, but this is really five singers, these people whose main focus is the songs," Theissen said. Maroney and Murphy fondly recalled the first rehearsal. The cast acted "giddy" to be a part of work done by trailblazers in the arts, they said. "Working with the singers was heaven," Maroney said. "When we started rehearsal, they were so thrilled and delighted to be able to sing this music that is the reason they are in this business. Our generation grew up with these shows. These people have legit chops to sing all of the difficult parts with ease." Some of the songs come from "State Fair," a collection of songs not found until after Rodgers and Hammerstein's deaths. "The song (and title of the show) 'A Grand Night for Singing' comes from 'State Fair,'" Murphy said. Nostalgia is what makes the show special, he said. "The minute one of the songs begin, you are transported back to the time you did 'Oklahoma!' in high school," Murphy said. 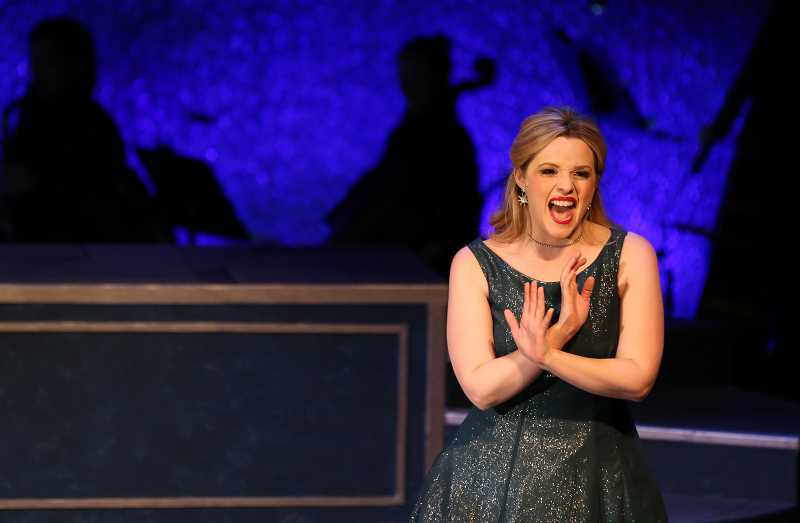 "That show is 76 years old, and that was (Rodgers and Hammerstein's) first collaboration. Community theater programs, professional theater tours, Broadway are all doing them again and again because of its staying power. "They are just heartfelt expressions that everyone can tap into," he continued. "When they sing 'Shall We Dance,' all you can picture is Anna in the huge dress flying around the palace floor. People have a physical reaction of joy where they hear this music." Performances are held at the Broadway Rose New Stage at 12850 S.W. Grant Ave., in Tigard. Ticket prices range from $20 to $48. To learn more, visit broadwayrose.org.